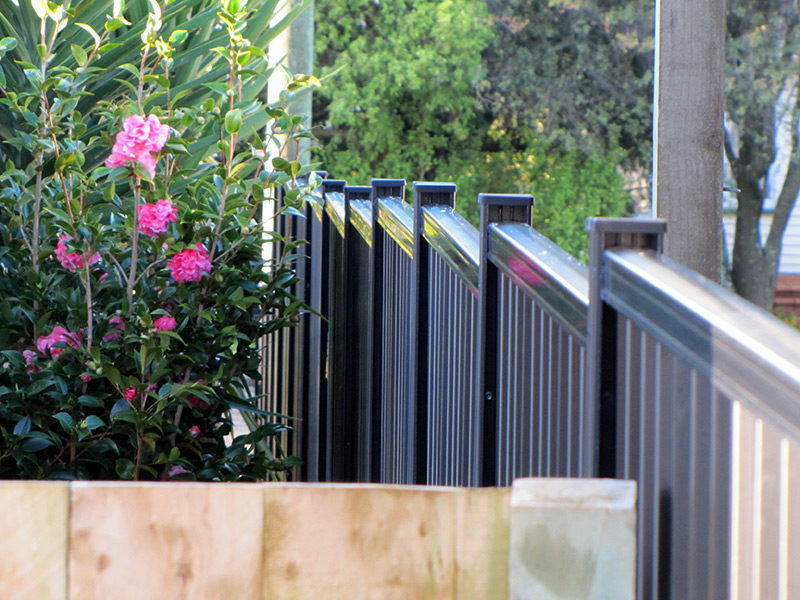 Elegance, value and low maintenance fencing. Frontline Fencing is the perfect fence to provide privacy and security. By design, the solid panels ensure any prying eyes are kept at bay. Being manufactured locally means we can erect fences up to 2.1 meters high (Council Permitting), thereby ensuring no one can jump over easily. There are also no cross members to provide a foot up, just a bottom rail, making it a great design feature! In the ground, onto decks, alongside concrete walls - we can do it all! Our team of experienced installers will ensure that no job is too difficult. Sloping ground is a common problem we face. By trimming panels we can follow the contour or alternatively we can step the fence down - all at your request. The beauty of this product is it's fantastic quality and manufacturing. Once installed, all we ask is you give a wash/rub down twice a year with soapy water. This will remove dry debris and dust that has settled onto the fence and ensure your fence lasts a lifetime! Locally manufactured from pre-painted, galvanised steel post and rails, our fences are designed to withstand any rough treatment they may encounter. The Colorcoat® zincalume panels are also pre-painted. This allows us to offer a 10 year warranty on all our products - something we are very proud of. We offer five colour options: Karaka, Black, Ironsand, Grey Friars and Titania. (as pictured).